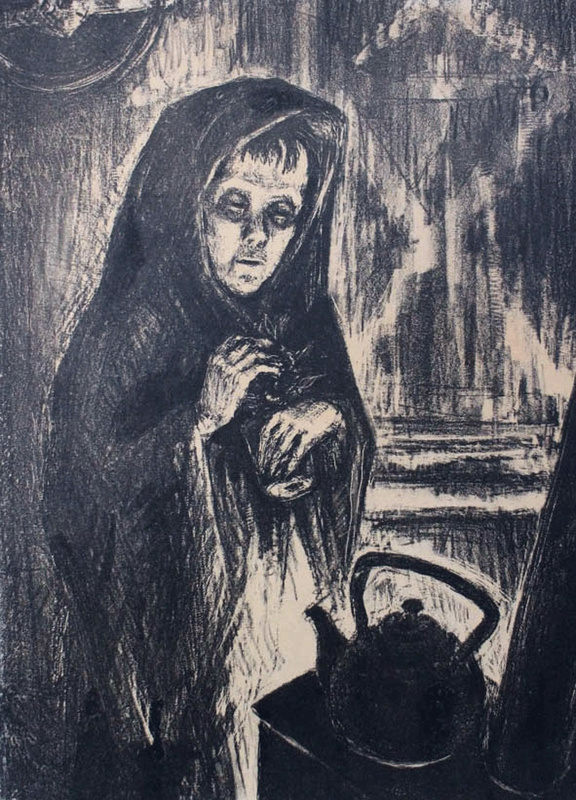 An art exhibition opens later this month in the U.K. that shows works by a survivor of the dreadful Siege. 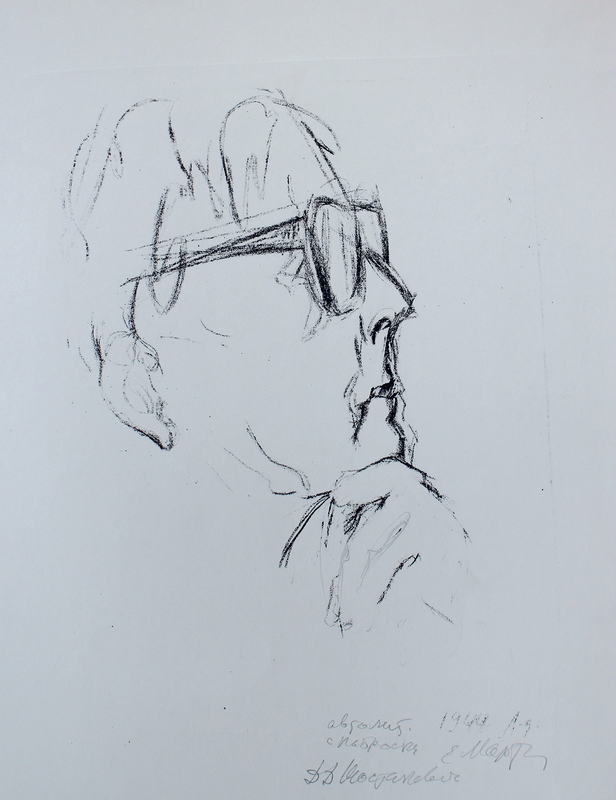 Among the art works to be exhibited is a portrait of Olga Bergolts, the poet of the Siege, who together with Anna Akhmatova read her poems on radio and which were also broadcasted through loudspeakers around the city. 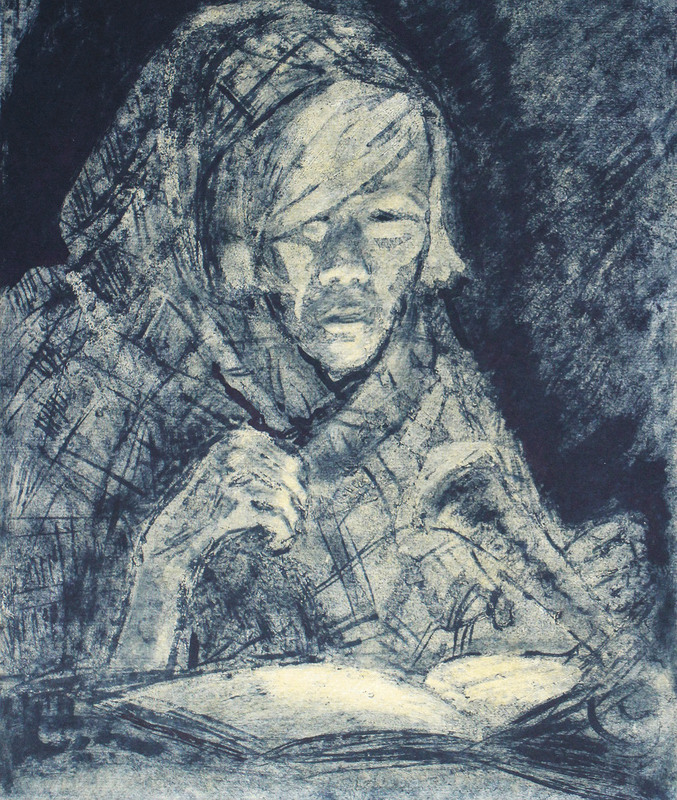 Art and poetry helped motivate and inspire people to survive, and helped them to remember they are not alone. 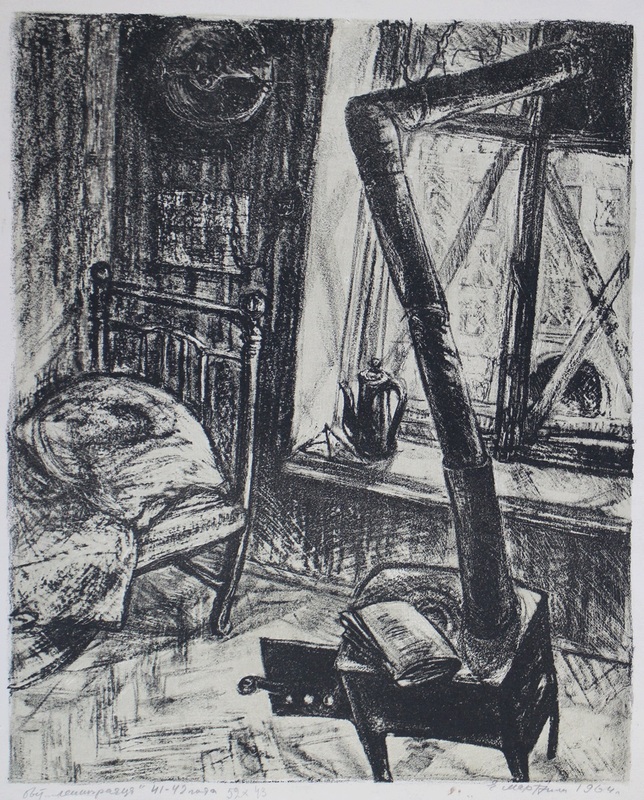 // Picture: "Leningrad Calling: Olga Bergolts"
"Art and Endurance in the Siege of Leningrad" is an exhibition that opens at Cambridge's Darwin College, and which runs from January 20 to March 19. For almost 900 days Leningrad was blockaded by the Nazis, and Elena Marttila's drawings tell the story of what she saw and experienced as a young girl. // Picture: "Tanya alone"
Surrounded by Nazi armies the city was being starved to death, had no power, and no contact with the outside world. 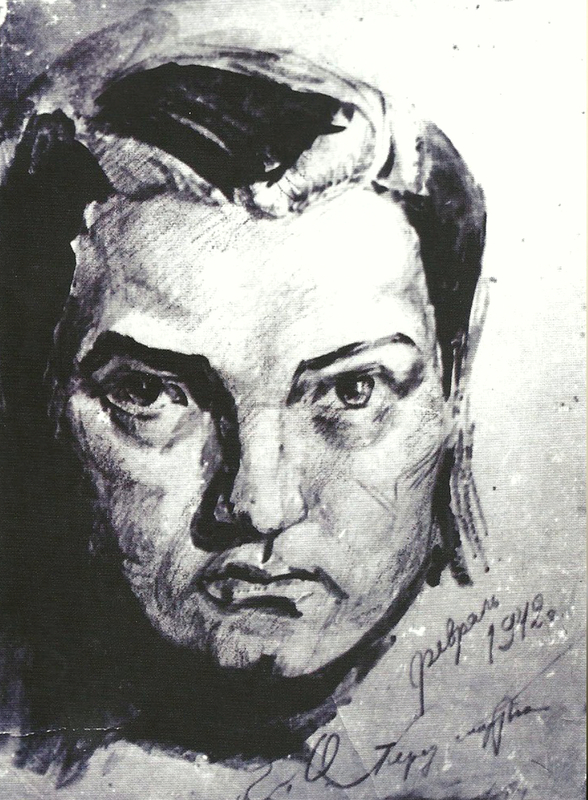 Born in 1923, Elena Marttila was 18 when the Siege began and her art captured the full extent of death and suffering in Leningrad. // Picture: "Blockade Life"
There is also a portrait of Russian composer Dmitry Shostakovich, sketched at a 1944 performance of his Leningrad Symphony. // Picture: "Shostakovich"
During the Siege Marttila worked as medic in a children's hospital and helped to evacuate children. She recorded everything that she saw on any piece of paper she had. Today, these are vital documents that bear witness to this dark period of history. 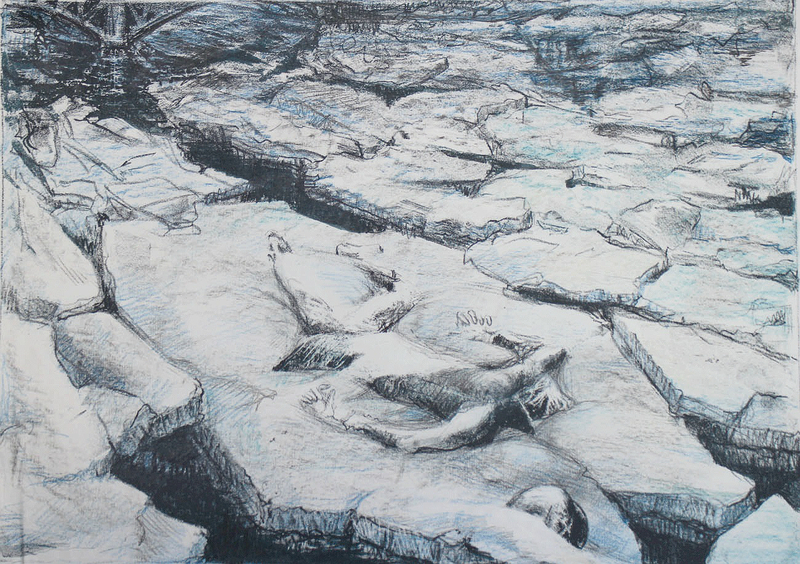 In 1942 Marttila was evacuated along the ice road across Lake Ladoga with her mother. // Picture: "Crossing Ladoga"
The winter of 1942 was unusually cold. In just January and February an estimated 200,000 people died of cold and starvation in Leningrad. // Picture: "Crystal Cradle"
The exhibition is curated by Ksenia Afonina, an independent curator and researcher of the art of World War II, and by Libby Howie, an independent curator who specializes in graphic art. This project was made possible thanks to support from Sotheby’s and in collaboration with The Cambridge Russian-Speaking Society. 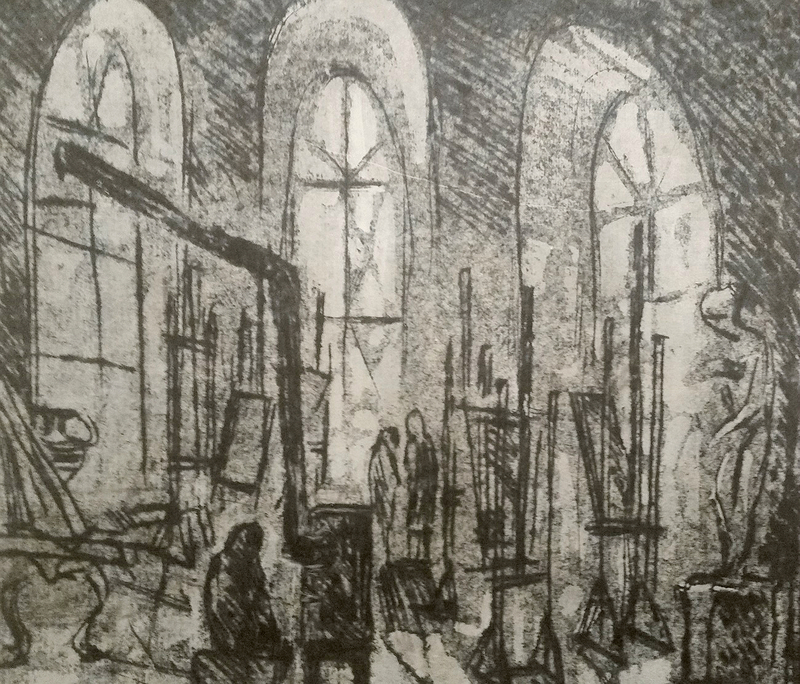 // Picture: "At Leningrad art college"
“Elena’s vision of the Siege of Leningrad conflicted with the heroic narrative promoted by the authorities, and after the war she was ordered to destroy her work,'' said the exhibition curator, Ksenia Afonina. “However, she was determined to preserve it as a testimony for future generations. 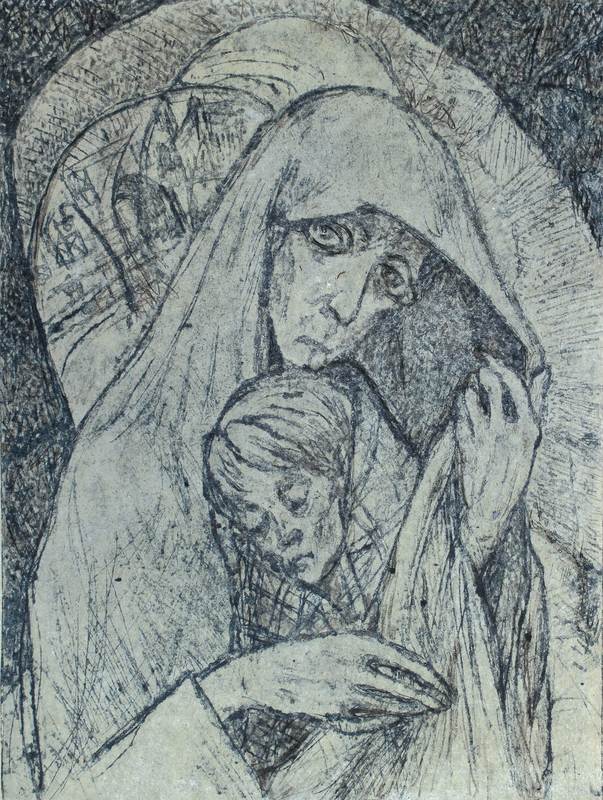 She transformed her sketches into full-fledged images using lithography and engraving on cardboard, vividly recreating the blurred sight that afflicted Leningrad’s malnourished inhabitants through her unique printmaking techniques. 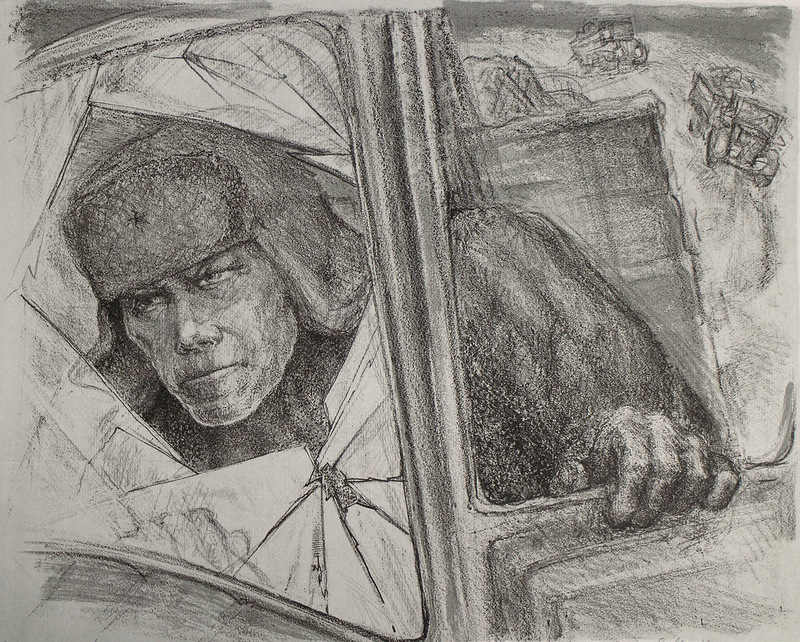 Marttila’s art allows us to see the siege of Leningrad literally through the eyes of those who endured it." 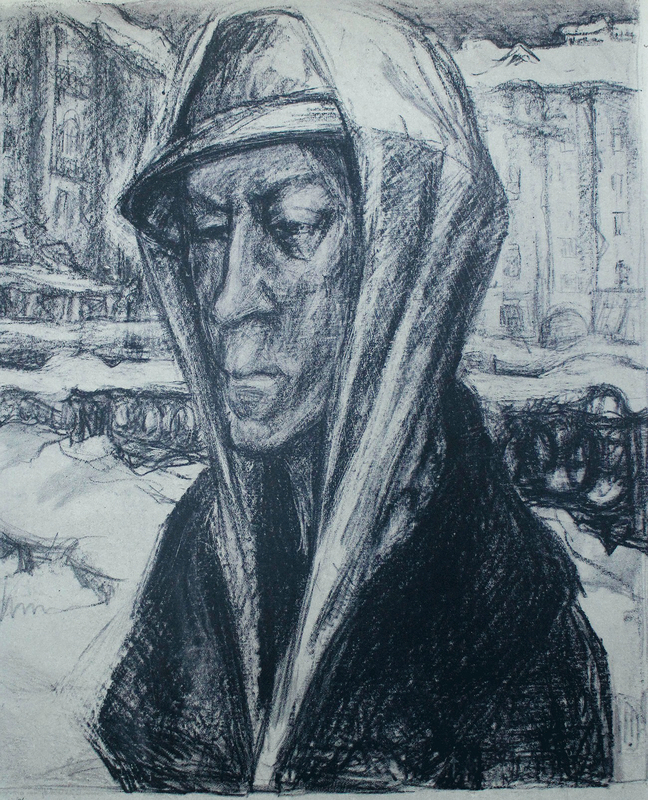 // Picture: "Leningrad woman"